Squeeze the Penguin’s belly to launch a soft foam ball. The harder you squeeze, the further it shoots—up to 20 feet! 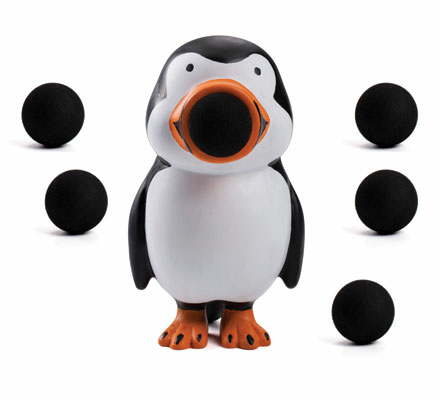 Penguin Popper is the newest and cutest popper yet and is ideal for indoor and outdoor play. Comes with six soft foam balls and convenient carry net.